When he turned 18, Mr. Dingell joined the Army in 1944; he rose to second lieutenant. The following year he was supposed to be in the first wave of soldiers in Japan. “I had my orders to go when Truman dropped the bomb on the Japanese, and that ended World War II,” he said in a 2006 oral interview with the Edward M. Kennedy Institute for the United States Senate. Back in Washington, Mr. Dingell earned an undergraduate degree in chemistry from Georgetown University and a law degree from Georgetown Law School, graduating in 1952. He worked as a forest ranger, a Wayne County prosecutor and briefly as a private lawyer before winning his father’s congressional seat, in what was then the 15th District, when he was 29. Mr. Dingell’s first marriage, to Helen Henebry in 1952, ended in divorce two decades later. In 1981, he married Deborah Insley. 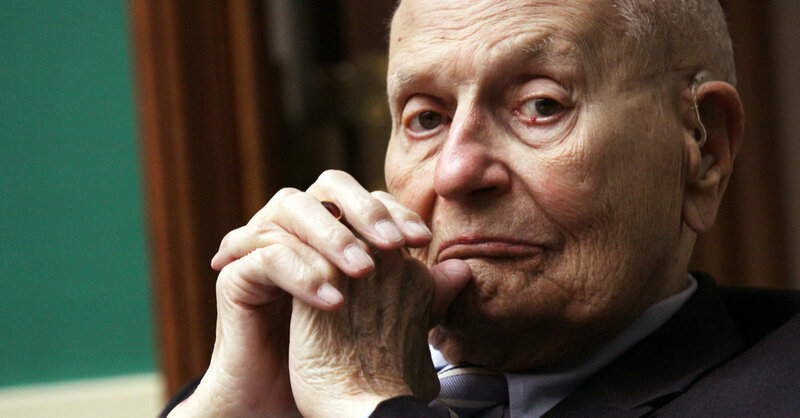 In addition to his wife, he is survived by three children from his first marriage: Christopher D. Dingell, a former state senator and Michigan circuit court judge; John D. Dingell III; and Jennifer Dingell. His daughter Jeanne Lagodka died in 2015. He is also survived by a brother, James V. Dingell Sr.; a sister, Jule Walowac; and three grandchildren. Among the many causes he promoted, Mr. Dingell was especially proud of his work on health care. This stemmed from his father’s efforts to help introduce the first national health insurance bill in 1943. It never passed. When John Dingell Jr. took his father’s seat, he continued that quest for national health insurance. On the first day of each new Congress, Mr. Dingell introduced a bill to create a Medicare program to provide health insurance for older adults, as his father had sought. When Medicare finally came up for a vote in 1965, Mr. Dingell was given the gavel and the honor, in memory of his father, of presiding over the House. Why Are There So Many Love Scrapbooks On ‘The Bachelorette’? July 25, 2018 Comments Off on Why Are There So Many Love Scrapbooks On ‘The Bachelorette’?